This course is ideal for all personnel to give an insight into the correct procedures for operating an extinguisher to combat a small fire. In an emergency, anybody who is close to a small fire may be required to extinguish it to prevent further damages, so it makes sense to have full competency within a workforce to ensure this is possible. This course allows delegates to become familiarised with the operation of an extinguisher, and also gives knowledge on types of fire and which extinguishers to use on them. This allows for peace of mind and would ensure confidence in using extinguishers should a situation arise. Using our very own Fire Extinguisher Training Unit, used for fire safety & awareness courses that incorporate extinguisher training. 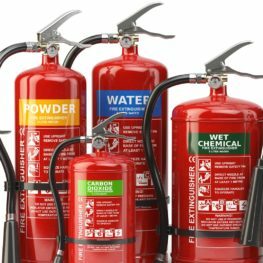 Many people, although aware of fire extinguishers and their uses, often do not know the correct classifications for extinguisher usage, or have never used an extinguisher.